A Parental Financial Commitment per student. This amount may change from year-to-year. For the school year of 2019-20, the tuition is set at $7,950 per Kindergarten student and $8,200 per Grades Student, based on the projected cost of education per child at PRWS. A Parental Fundraising Project. Each parent is asked to participate in this fundraising project (usually a raffle) at a $500 per parent level or provide the equivalent income. A tuition adjustment process for those unable to pay the full tuition amount. A balanced budget for the next school year. PRWS will accept any family that is willing to work with PRWS and is committed to holding PRWS education high on their list of financial priorities. 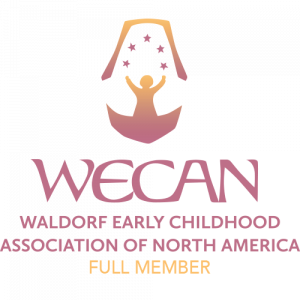 We are committed to making Waldorf education available to all families valuing the Waldorf curriculum. For families of students requesting tuition adjustment, PRWS will use a financial appraisal and allocation system to determine an adjusted tuition. All families participate in a Parental Commitment Meeting in April to discuss the school budget, volunteer needs, and fund raising plan for the coming year. Provide a copy of your most recent completed and signed Federal Income tax return. Have available for review any additional documents that may be needed to support claims of undeclared income and expenses, and net worth. The adjustment is not intended to support a family’s discretionary expenses such as large amounts of home or property equity, second homes, investment portfolios, etc. Having any of these does not preclude an adjustment, but will be taken into consideration in relation to the school’s needs. Once all of the forms are turned in for each family seeking a tuition adjustment, the Finance Committee, working through a confidential third party, will determine the amount each participating family will be asked to pay. If the adjusted tuition amount is still beyond a family’s ability to pay, you may provide a detailed explanation justifying the additional adjustment. An agreeable level of financial commitment that works for both you and the school will be determined at a second meeting. The information provided by families participating in the Parental Financial Commitment Adjustment process will be handled in a confidential manner by the Finance Committee.